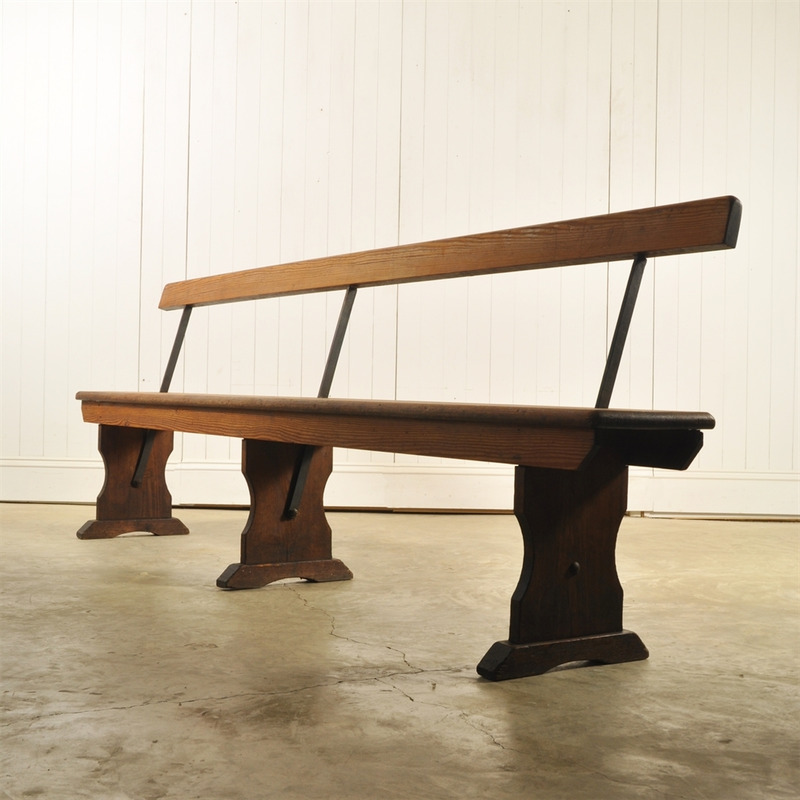 Pitch Pine Tram Benches - Original House – Decorative Antiques, Vintage Industrial Furniture and Lighting, Cotswolds. 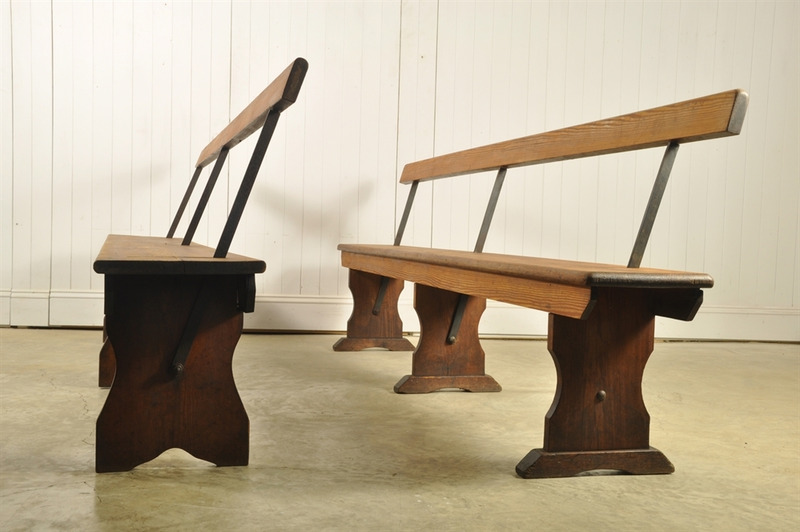 These Pitch Pine and cast iron church pews were sourced from a church in South Wales. These are Victorian and in fantastic condition - having never been damp. 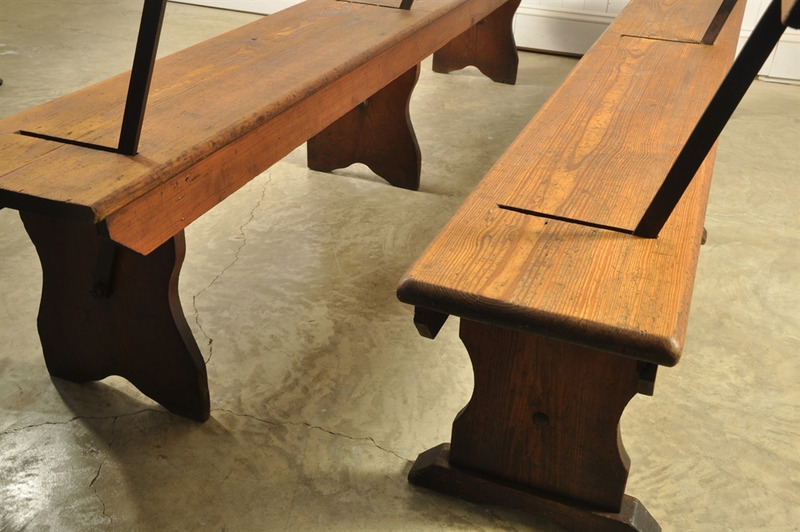 We have given these a light sand and polish. 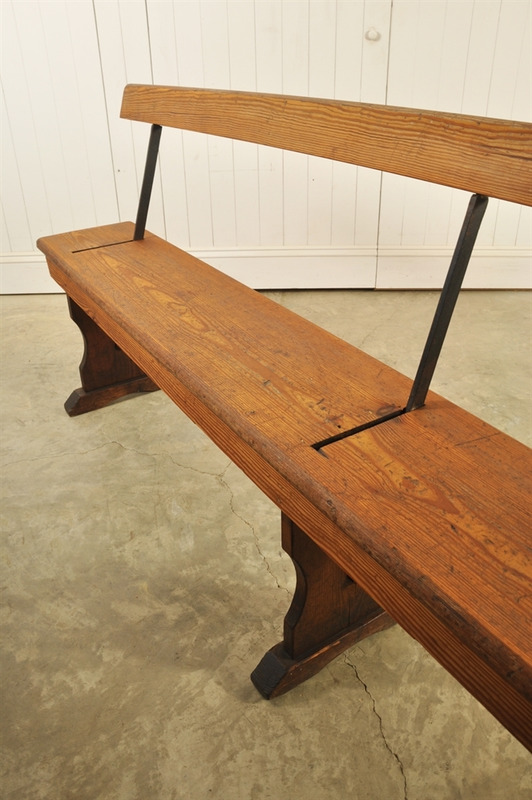 They still retain plenty of their authentic antique patina with a few marks here and there as well as a few very old and now settled splits. 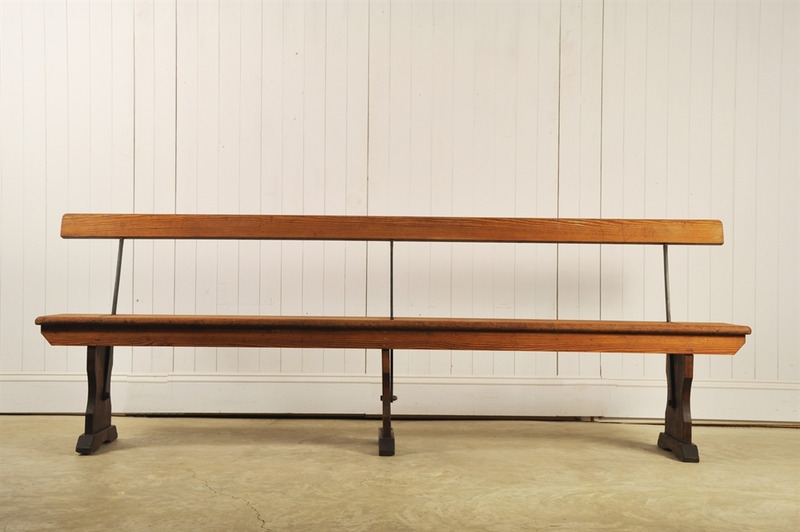 Very well made and fairly heavy. 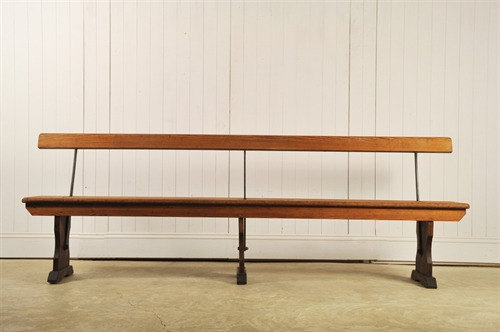 These were known as Tram Benches as they were used on trams. Rather than turning the tram around they simply flipped the seat backs over for the return journey. We presume the same idea was used in the church when the congregation had to turn around for a Christening at the back of the church. 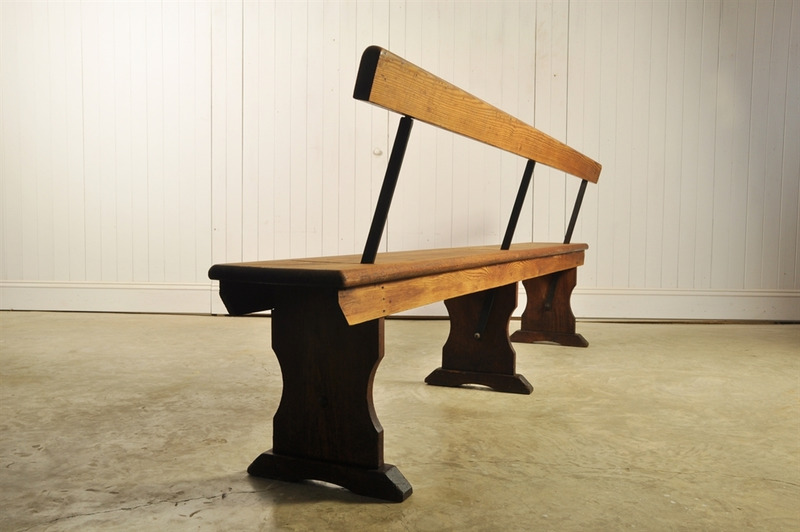 85 cm h ( 47 to seat ) x 244 l x 30 - 34 d.
These can be shortened on request.